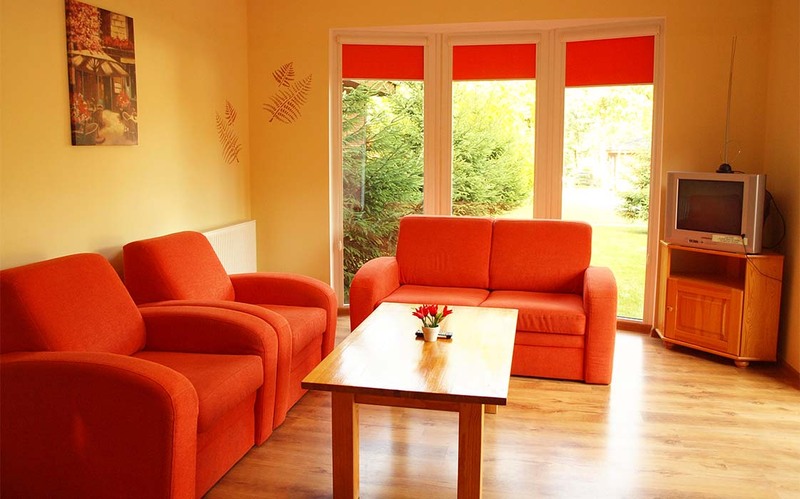 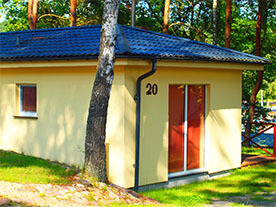 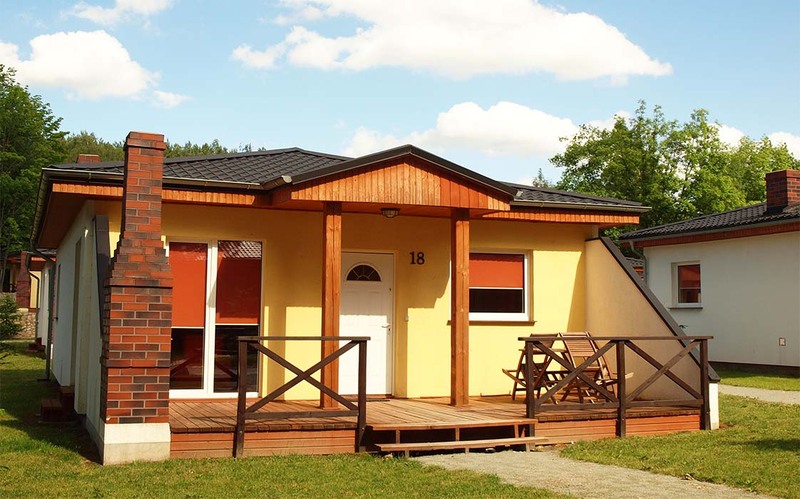 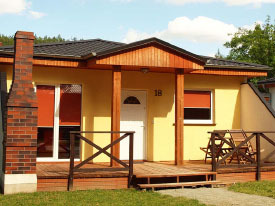 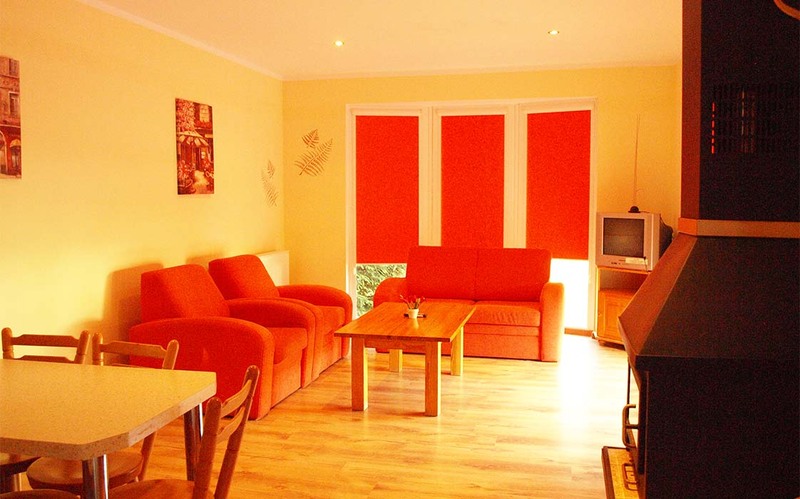 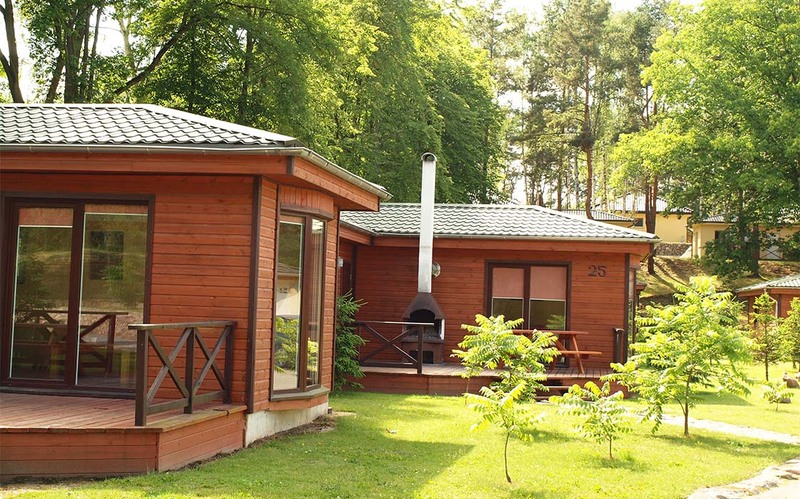 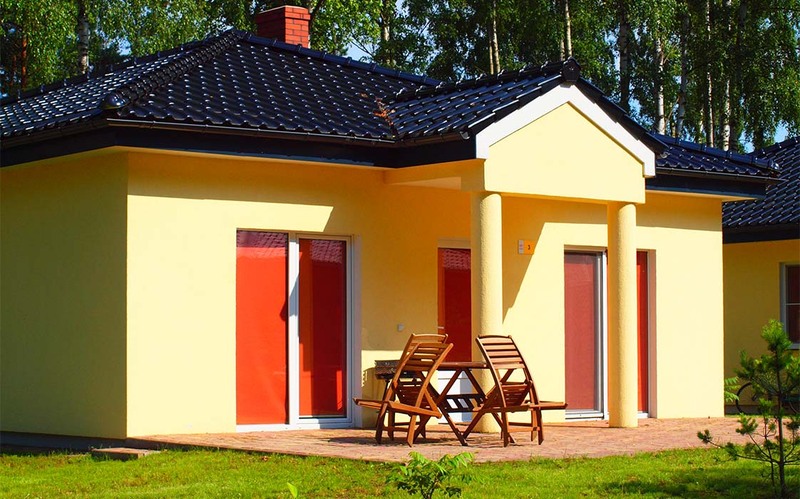 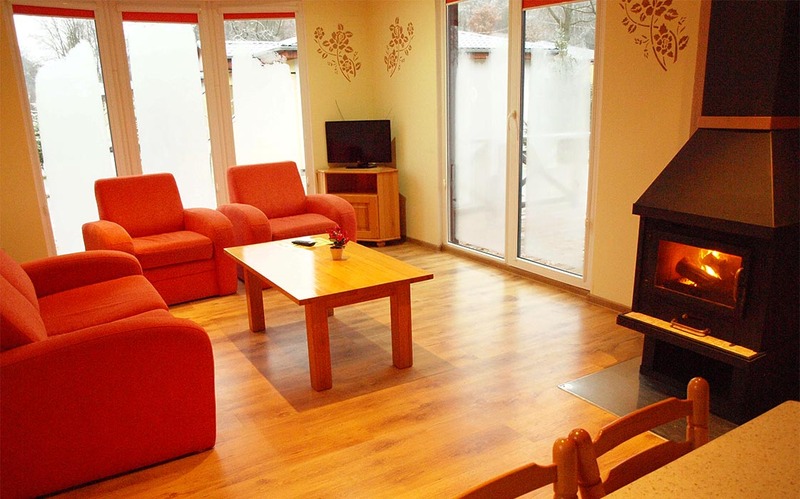 We have 3 types of bungalows for 4 persons: wood, brick and villa. 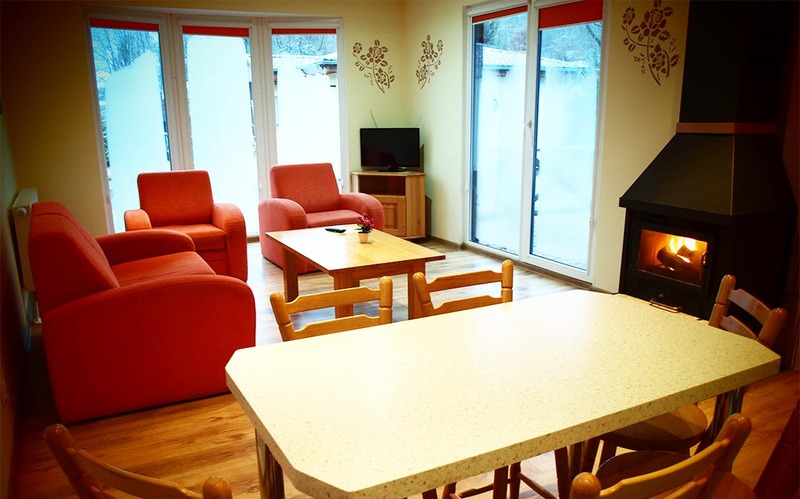 Each 4 persons bungalow are 2 bedrooms, one is a double bed, one with two single beds, a living room with kitchen fully equipped, TV, fireplace with a sofa set – in addition to the villa there is an oven, a bathroom with shower, except for the villa in a bathtub. 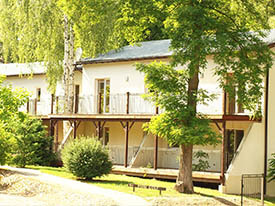 Outside there is a terrace with garden furniture. 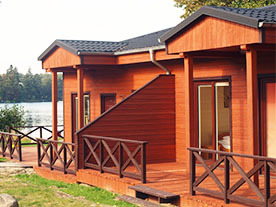 All cabins are heated for year-round residence.